Jing Gong joins the Fox School on a tenure-track appointment from Carnegie Mellon University, where she studied for a PhD in Information Systems and Management. She is interested in using empirical models to analyze firm and consumer behavior in online markets, with primary focuses in electronic commerce, digital marketing, two-sided online markets, online labor markets, and business analytics. Her research uses interdisciplinary approaches such as econometrics, Bayesian statistics, economic structural modeling, field experiment, and text analytics. Jing’s work has appeared in several major conferences and workshops including International Conference on Information Systems (ICIS), Workshop on Information Systems Economics (WISE), Conference on Information Systems and Technology (CIST), Marketing Science Conference, and China Summer Workshop on Information Management (CSWIM). 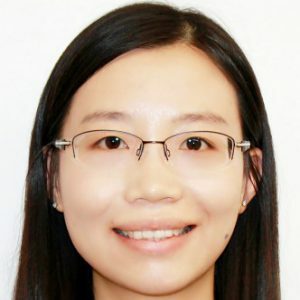 She was the 2014 recipient of the Best Student Paper Award at the Conference of Information Systems and Technology and the 2014 Best Paper Award runner-up, at the China Summer Workshop on Information Management. Jing holds a Bachelor's Degree in Information Management and Information Systems from Tsinghua University in Beijing, China. Below is the agenda for Week 9. Assignment #4 (ETL in Excel) – due on Tuesday, 3/13 before class. Assignment #5 (Pivot Tables in Excel) – due on Tuesday, 3/20 before class. Aaron will hold a review session on SQL advanced queries. Time and place TBA. Nathan will hold office hour for Exam 2. Time and place TBA. Assignment #3 (SQL In) – I will announce this assignment soon, which will be due on Tuesday, 2/27 before class. As you might have heard, the campus will be closed and classes will be canceled this Thursday (2/8). We will still have Exam 1 on Tuesday 2/20, but the rest of the class schedules will be adjusted accordingly. Assignment #2 (SQL Out) – The deadline is extended to Thursday 2/15 before class. Nathan Pham: Friday (2/9), 1:00 – 2:00 pm, in Alter 240D (Breakout room). Aaron Cheng: Monday (2/12), 1:00 – 2:00 pm, in Speakman 201F. Let me know if you have questions regarding the schedule changes. You might be interested to know how popular MySQL is in the real world. 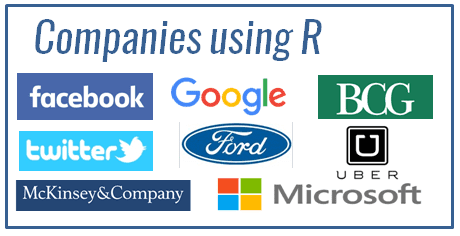 What companies are running MySQL? Well, the list is quite long (see a complete list of companies using MySQL here), but here are some examples. Assignment #2 (SQL Out) – I will announce this assignment soon, which will be due on Tuesday, 2/13 before class. Aaron Cheng: Monday (2/12), 1:00 – 2:00 pm, in Speakman 201F (Breakout room).